John, an old, experienced gold digger, has been doing his best in the Wild West for all of his life. He keeps on digging and doesn’t give in, like every good gold digger would do. Usually he and his dog Bobby are digging in vain, but from time to time they’re lucky. And this seems to be the case today as well: they’re even extremely fortunate! Bobby has found a map with sixteen spots on it, indicating places where there’s a lot of gold hidden. 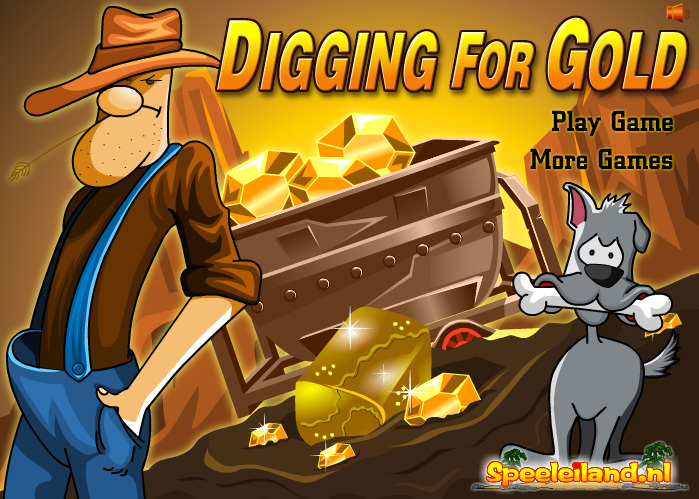 The gold digger wants to start digging immediately, as days like these are rare in a lifetime. Can you help him collect as much gold as possible? Invest in the right material and helpers to earn as much money as possible in this gold mine. Good luck!